Bulleys commercial property experts offer a wide range of commercial property in Cradley. Finding commercial property for sale or to let throughout Cradley Heath and West Midlands can often be a time consuming process, so we provide our expertise to help you make the right choice. 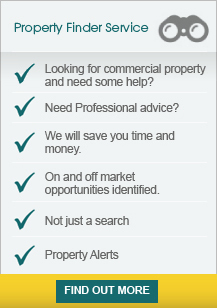 If you can't find the commercial property in Cradley you are looking for let us know and we will be able to assist you, or why not try out our property finder service and register for commercial property alerts. Our commercial property in Cradley are updated daily, so you can be rest assured we bring you the most recent and up to date commercial property listings. We also provide other commercial property services including property valuations, renegotiating leases, rating, and commercial property management in Cradley Heath and West Midlands. Cradley Heath is a suburb of Birmingham and located 3 miles south of Dudley, 2 miles north of Halesowen and 9 miles west of Birmingham City Centre. Surrounding the site are excellent local road communications such as the Halesowen Road which links the A459 and A100 which.. The property is located in a long established industrial area, fronting Stourdale Road, close to Cradley Heath Centre. The estate is situated off Cradley Road (B4173) and is located to the east of Stourdale Road. The property is surrounded by long established industrial..